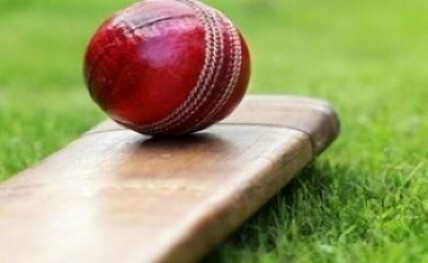 Vidarbha, repeated their performance of the previous year and once again went on to become the proud winners of India's premier domestic cricket tournament, the Ranji Trophy. This was the 85th year of the major tournament in memory of one of the greatest Indian born cricketers, Ranjit Singhji. The dream of playing in this prestigious tournament was every Indian cricketer's aspiration and a good performance in it was what elevated one to play for India. The importance of the Ranji Trophy has diminished quite radically. The present well acclaimed Vidarbha coach and former Indian player, Chandrakant Pandit, during his interview sadly highlighted, how the performance of the players in the Indian Premier League (IPL) has taken precedence over the major domestic tournament. He goes on further to plead for a place for his players to be included, if not in the Indian side but at the least as a part of the India 'A' side. He does make a serious point, as apart from Umesh Yadav, surprisingly none of the other players from the two times champion side are contenders for a place in the Indian side. This gets one to admire the process that Chandrakant and his support staff have put in place, that a side without a superstar amongst them is consistently still winning. A tweet by the astute businessman Harsh Mariwala, sums it up perfectly. He mentions three steps to a team's successful performance, "coming together is the beginning, keeping together is mandatory in order to progress and working together leads to success". Vidarbha has truly shown by imbibing the way that Mariwala has defined, to evolve into a champion side. He did play his part in the two earlier matches with some terrific batting, but his presence in playing the domestic tournament made a huge difference to his team. This is why, having the current Indian cricketers playing in the domestic tournament is so important for the progress of Indian cricket. The BCCI needs to schedule the cricket itinerary in such a way that the Ranji Trophy has the participation of the Indian star cricketers in it. The arranging of tours of foreign 'A' teams during the vital period of the tournament is another blemish this year by the BCCI. The other questionable issue was the inclusion of the two teams from the lower 'C' division and one from the lowest 'D' division as well. Teams that had not done well previously, should not have had any option of playing in the last stages of the coveted trophy. Maharashtra, who have been relegated to the 'C' division, are now feeling elated as they are hoping to be one of the two top teams from the group next year, so that they will get an opportunity to play and maybe win the Ranji Trophy. An ideal backdoor entry to win the cup. The teams qualifying for the knockout stage should be only from the top two groups. One cannot have four teams qualifying from the 'A' group and only one team from 'B', as it happened this year in the knock-out stage.